books as food: #PalliserParty: Can You Forgive Her? 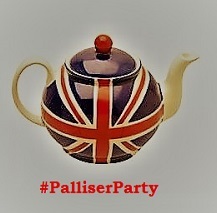 #PalliserParty: Can You Forgive Her? Can You Forgive Her? introduces us to Alice Vavasor, a principled, young (but not very young) woman with a comfortable fortune who is engaged to marry John Grey, a scholar landowner. Years before, she had been engaged to her cousin, George Vavasor, but had broken off the engagement when she realized that he was a philanderer. Alice's father and her formidable aunts approve of her new engagement, but they are horrified when Alice re-engages herself to George and becomes a 'jilt' for the second time. George, as it turns out, is mostly or only interested in attaching himself to Alice's money, to fund his campaign for a seat in the House of Commons. It also reintroduces us to Plantagenet Palliser, an aristocratic and rising young Member of Parliament, and his wife, Lady Glencora, whom we met, in passing, in two of the Barsetshire Books. 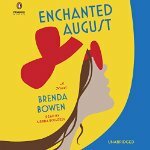 They have a new, arranged, and unhappy marriage; Plantagenet is stiff and scolding, and Glencora is young, flighty and still in love with Burgo Fitzgerald, the unsuitable man she had hoped to marry. 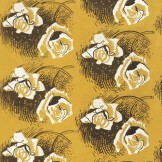 There's one more love story woven in, when Kate Vavasor, George's sister, visits her aunt, Mrs. Greenow, and becomes a witness to a love triangle among the wealthy widow, a clumsy but enamored farmer, Mr. Cheeseacre, and the rakish, romantic but debt-ridden Captain Bellfield (this plot thread seems to be there for comic relief). This is sounding like I didn't enjoy Can You Forgive Her? - I did, very much, and definitely enough to look forward to what happens next. We don't have a particular schedule in mind, but our #PalliserParty will continue, and we'd be happy to have you join us! Those hunt pages were the worst!! 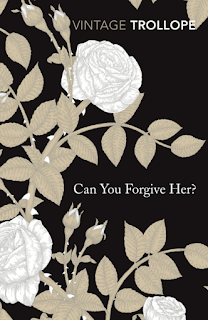 I'm trying to decide how to write a post about Can You Forgive Her? because, although I enjoyed it very much, it just didn't contain the same magic as the Barstshire Chronicles for me either. I was only vaguely aware of costume dramas in the 70s, too. This one was nowhere near as good as the book and was a little dull in parts, but how can you fit all 800+pages into 6 hours? I did miss some of the story lines. I've been enjoying the party from the sidelines. I'm hoping to join you for at least one or two of the books. This isn't my favorite of the series, despite some wonderful characters. The most recent Anthony Trollope book I bought is Can You Forgive Her, and your post makes it sound up to AT's high standards of story and quality. 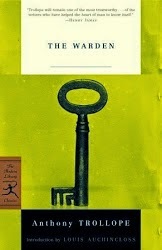 Right now I am reading his John Caldigate, definitely a great novel. Love, family, gold, a trial. I've read four of the Pallisers so far and hope to join with you for the final two. I did like the first two but the series really picks up with The Eustace Diamonds. I also really loved Phineas Redux. I'm in two online Trollope groups and though I haven't even started John Caldigate, my Yahoo Trollope group is just about to start Kept in the Dark which is very short and quite lesser-known. Then we're on to The Vicar of Bullhampton which is supposed to be really good. This was the first Trollope I read and loved. I got on better with the Pallisers than I'm getting on with Barchester, which might be a reading thing or might be because we are drawn to different sides of his writing. I'm happier with his drama than his comedy. I hope you'll have a wonderful time with Phineas - I love him! I'm embarrassed to admit I started this a few months back, read about 150 pages and then was very happy to be distracted by something else. I know I'll return eventually but the characters definitely didn't grab me the way they do in his best books.